American Serena Williams is the Greatest Of All Time (GOAT). There is no disputing that. Today, she defeated her sister Venus Williams 6-4, 6-4 in just 82 minutes at Rod Laver Arena to win her 7th Australian Open Grand Slam singles title and her 23rd Grand Slam - just one behind Margaret Court - title. 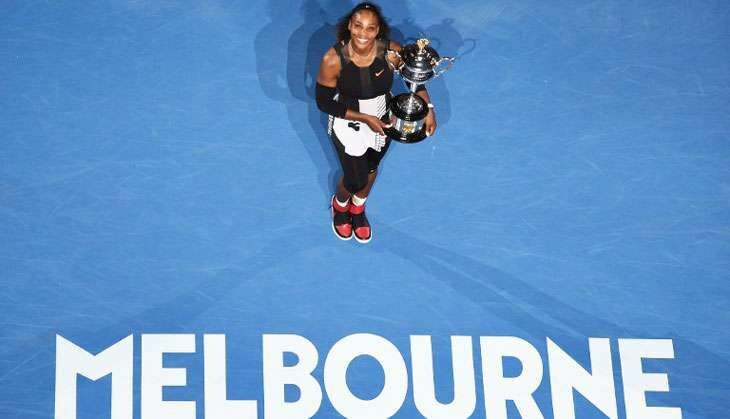 On her way to winning the Australian Open title, Serena did what no sportswoman has since 2008. She won the tournament without even dropping a set. With the win, Serena reclaims the No 1 ranking. Venus too climbs to number 11. Venus was eight years removed from her last appearance in a Grand Slam final. At that time, she was battling Sjögren's syndrome, an auto-immune disease that causes joint pain and fatigue. Venus Williams is 36, Serena, 35. With age not on their side, it's only a short period of time before both of them retire from the singles game. While Venus' days are certainly behind her, Serena is still peaking. Serena Williams will enter her 311th week as the number one women's singles tennis player following her Australian Open triumph. Williams is just 22 weeks behind Martina Navratilova. Steffi Graf holds the record with an incredible 377 weeks as the world's number one player. Following Court is Martina Navratilova with 167.